I wish I had the energy for bento boxes. They look so cool. But at the end of the day, packing a balanced lunch is just about all I can manage. Not to mention that my picky eater wouldn’t eat half of the things in the really cool bento boxes you find on Pinterest. Nonetheless, I like to get creative with lunches from time to time. And just in time for Halloween I have some easy Halloween lunch box ideas that are quick and take no skill to create. Yes mom, even you can achieve these Halloween snacks. Like I said, super easy. But a wonderful surprise for your student at lunch time. I’ve partnered with Horizon to bring you some easy Halloween lunch box ideas. All you need to make these creations is a Sharpie, crepe paper ($.97 at Walmart) and a pumpkin cookie cutter. If you have some googly eyes lying around (like I always do), you can add those. But if not, Sharpie eyes work just fine. Oh and if you are doing this so last minute that you don’t have time to pick up any crepe paper, never fear — use toilet paper. (Just fold a length of toilet paper in half and wrap.) How is that for easy? A cookie cutter turns an ordinary turkey and cheese sandwich into a festive pumpkin sandwich. Transform Horizon milk into Mummy Milk. This orange just got happier with a crooked jack ‘o lantern smile. Finally crack your kid up with a free printable Halloween joke. Choose between two jokes or send jokes on two days. 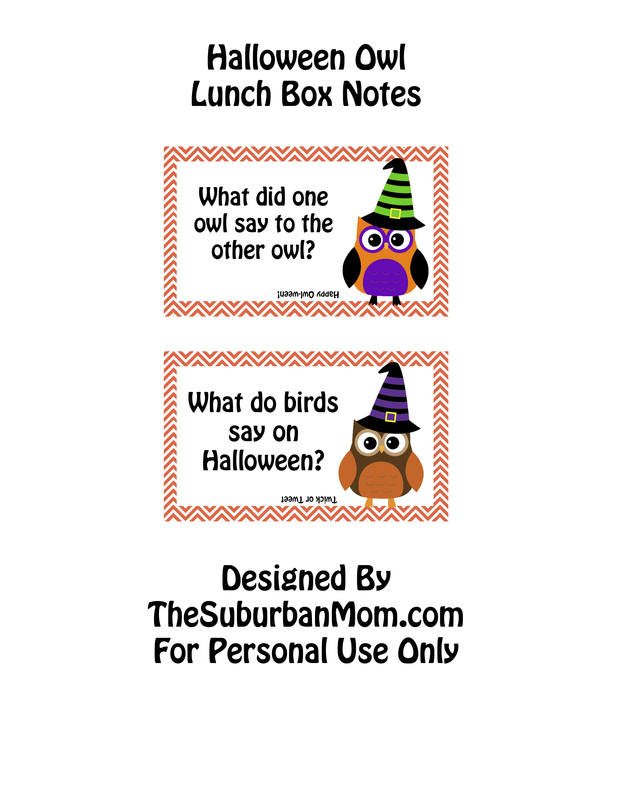 Download the Halloween lunch box notes here. With all of the sweet treats floating around this time of year, it is easy to let your kids get caught up eating a lot of junk. Candy for this party, candy for that and finally Trick or Treat! Don’t get me wrong, it’s fun to indulge in the sweet stuff, but we also have to fill those bellies with some real food too. That’s what’s great about these easy Halloween lunch box ideas. By dressing up an ordinary lunch with a few easy Halloween costumes, it makes lunch spooky and fun. Find more meal ideas from Horizon on Pinterest, Facebook and Twitter. I can just imagine your child’s face when that lunchbox is opened! That is absolutely adorable. Very clever and I really appreciate the idea for my future grandchildren.